A late 19thc hongmu wood Chinese low table or pot stand with a marble insert. It has a decorative carved frieze of typical Chinese design. 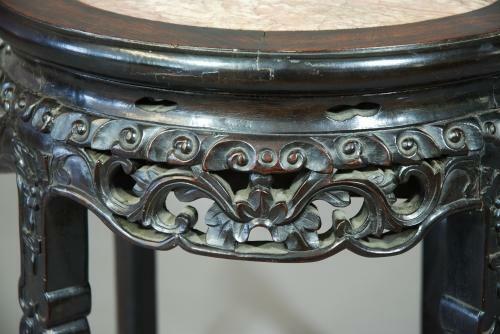 This leads down to four, shaped & carved legs with a carved knee design, terminating to a stylised ball & claw foot. This piece is of stable construction & can go straight into a home.